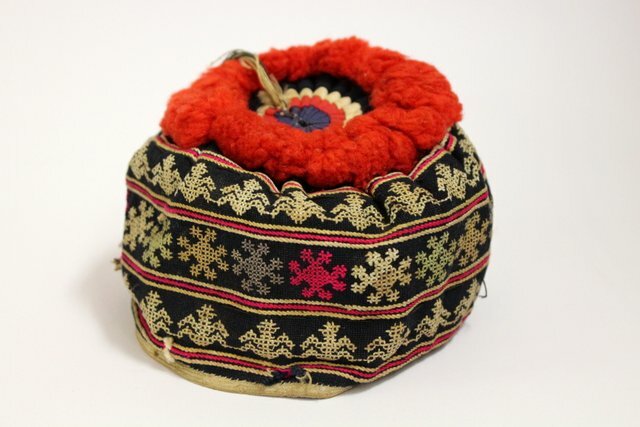 These silk hats were a part of the traditional costume during the Manchu dynasty rule in China (before 1911), hence the artificial braid attached to the back of the hat. 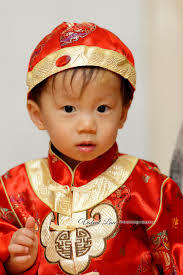 But today the traditional attire is only worn at festivities, and the silk dress with round hats are put on children during the Lunar New Year celebrations. China, 21st cent.